Galavant wrapped its second season on ABC in January, and the cast is still waiting on the status of the series. Will ABC air a third season of the series? Timothy Omundson is hoping the network keeps Galavant on the air. He starred as King Richard on the musical comedy series. Ratings for season two were lower than the ratings for the first season. The series averaged 2.436 million viewers each week. Are you a fan of Galavant? Do you want to see the series return to ABC for a third season? Tell us what you think. 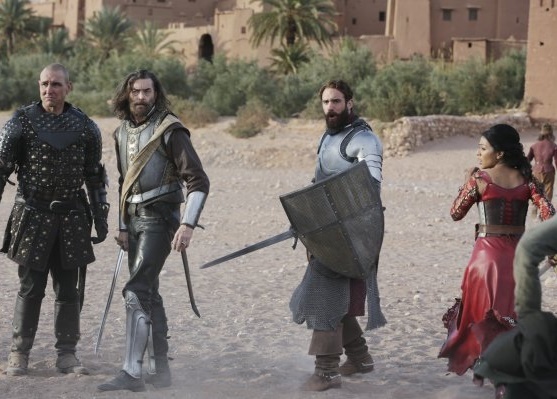 More about: Galavant, Galavant: canceled or renewed? military service means I rarely get to watch network television. Finally got a chance to see this thanks to Netflix. I usually hate musicals, so I was surprised that the pilot hooked me. Binged the whole 2 seasons, and wishing there was a 3rd. Yes, please renew this series. It is absolutely hilarious and wonderfully catchy. It is unlike any other show I have seen and it would be a tragedy to cancel such an amazing show. The soundtrack is absolutely brilliant. I think I really really want Galavant back for another season. This seems to be turning into the longest and best kept secret since The Manhattan Project!